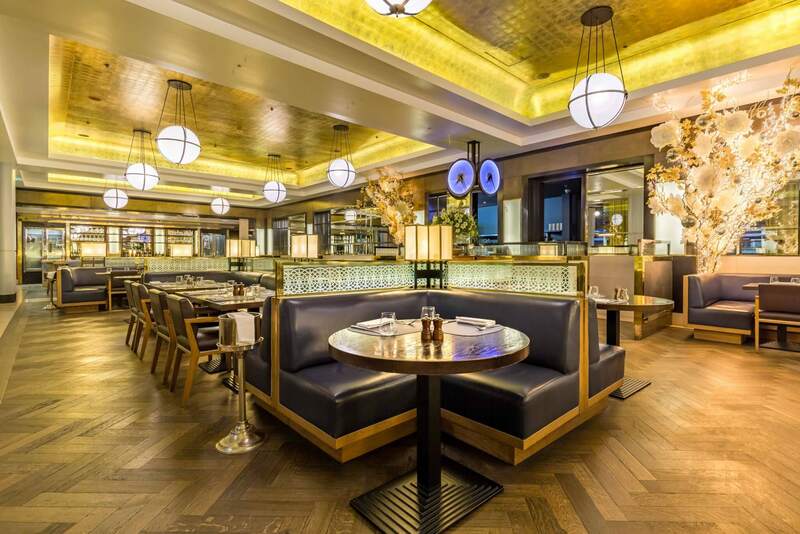 Discover St Pancras by Searcys on the Grand Terrace of the Upper Concourse in St Pancras International Station. Whilst the stunning Martin Brudnizki design references the roaring 1920s, deliciously British seasonal dishes are thoroughly of-the moment, letting beautiful ingredients shine. Our range of beautiful spaces are listed below and can accommodate 2-400 guests for meetings, dinners, standing receptions or memorable experiences. Or Contact our events team today for more information and availability. 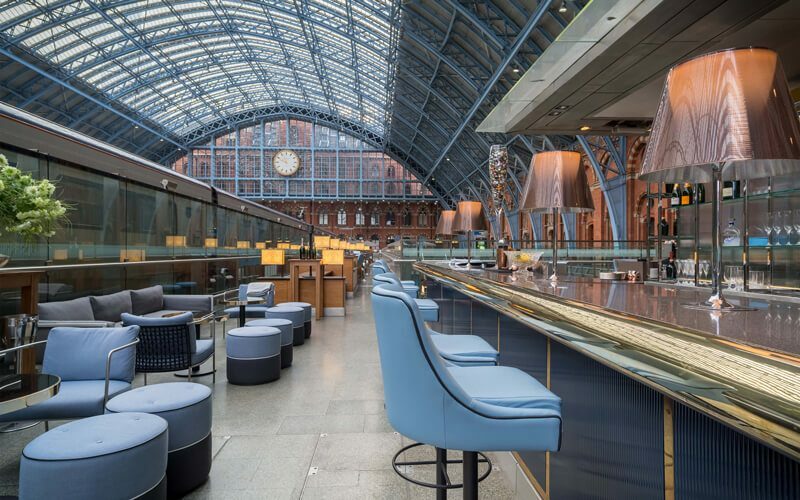 The Glass Room is situated within the Brasserie on the upper concourse of the iconic St Pancras International station, offering unforgettable views of the stunning architecture and ever changing scenery of the station. 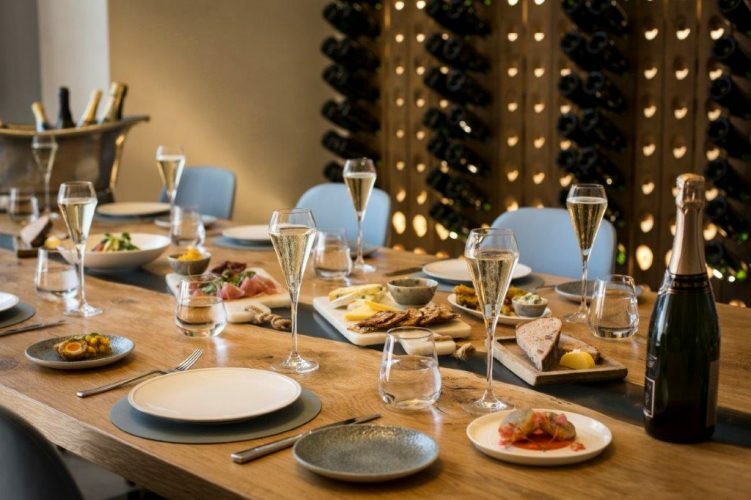 The Tasting Room is the perfect event space for meetings, masterclasses or parties fizzing with Champagne and British sparkling. Individual features include walls adorned with an engraving of the Champagne region of France and a plasma television screen. 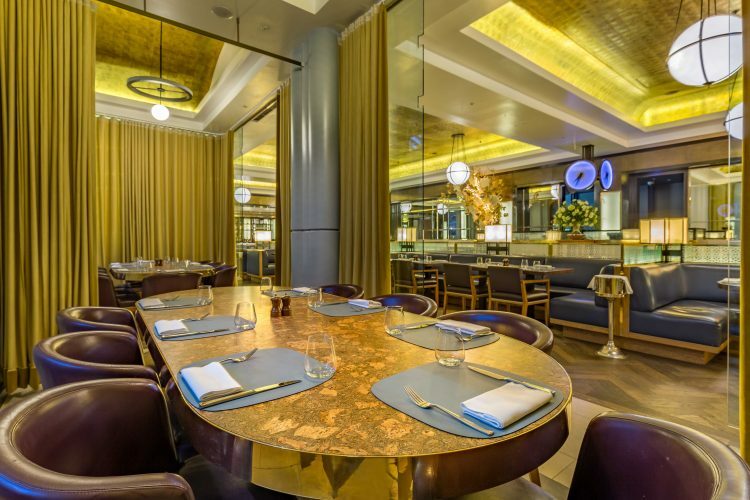 This semi-private space is complemented by its art-deco surrounds and features a partition to the main restaurant. The space is highly flexible and its set up can be tailored to your needs by our hands-on events team. Proudly boasting to be the longest champagne bar in Europe, we offer a truly spectacular setting with exciting drink options and specially created menus all within the buzz of this International Station. Exclusive hire and semi-exclusive hire are both available, for standing reception only. 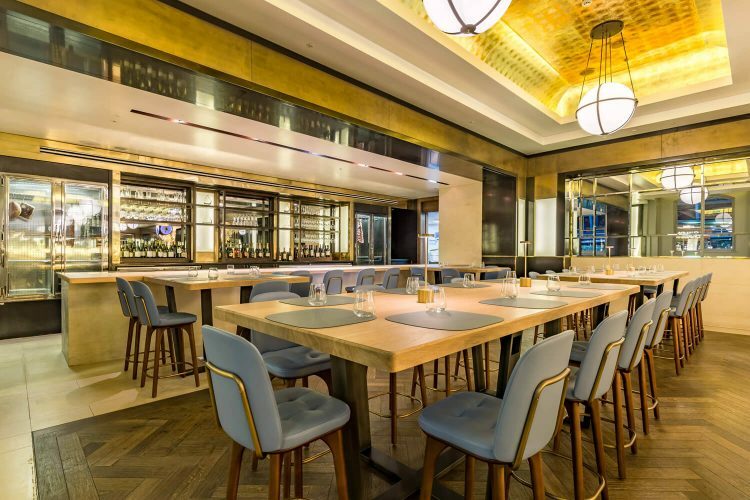 A true hidden gem exuding an air of opulence and sophistication, located above the hustle and bustle of St Pancras International Station, our Brasserie can be transformed into a spectacular event space for exclusive hire for any occasion. Searcys is known for its extensive collection of Champagne, hand-picked from established houses and small, independent growers alike. 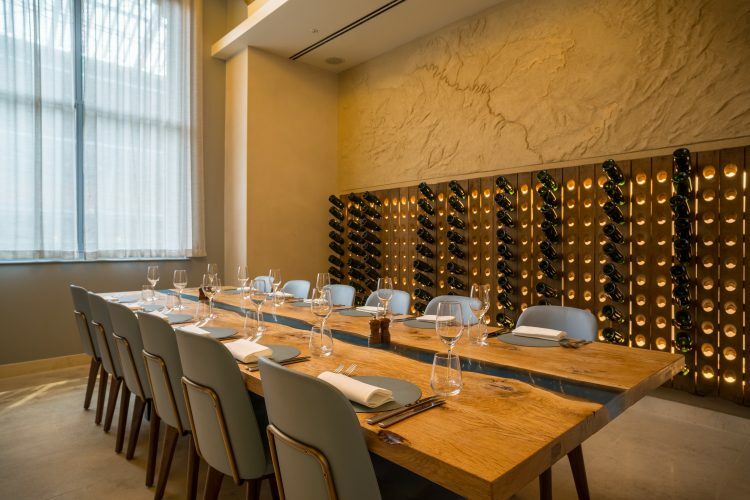 Led by our expert sommeliers, masterclasses are designed to share with you our passion and thirst for superb Champagne. Do something different with friends. Bond with your team over bubbles. Or find a fresh new way to entertain clients. Choose from one of our many carefully-crafted packages and make it a day (or night) to remember.